Sunshine to the Square Inch: Guacamole! the Best recipe I've ever tried! Guacamole! the Best recipe I've ever tried! You might be surprised but I first heard about this awesome guacamole recipe while living in Korea. My friend told me that the best guacamole was made with a paste followed by adding avocado and lime. 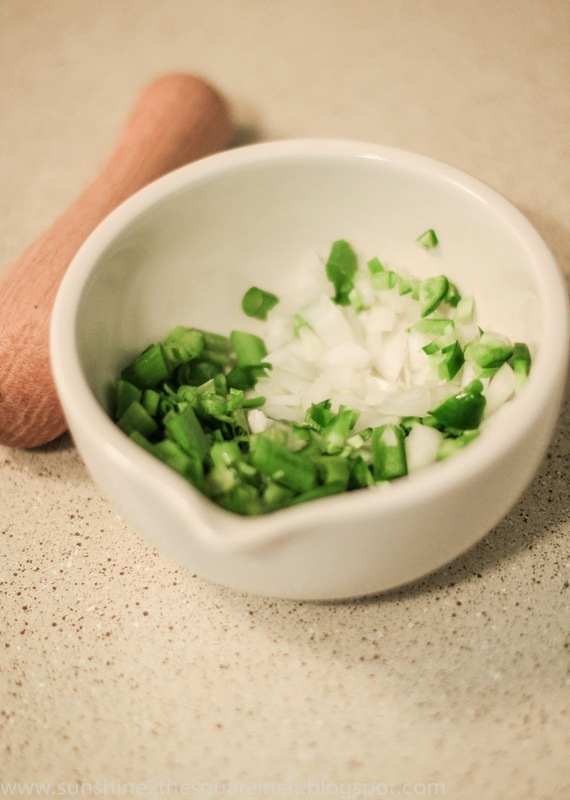 She said you needed a mortar and pestle to make this paste and I’ve had it in my mind ever since. A while back I received an e-mail from a company called RedEnvelope. They asked me to look over their website and offered to send me any item I wanted to try out. I looked at their website and thought they had some really great items but never picked anything out. A week after I received the first e-mail RedEnvelope was awesome and followed up with me still wanting to offer me a product. I was so excited that it was a real deal and when I saw the mortar and pestle I knew that some amazingly good guacamole was in my near future. 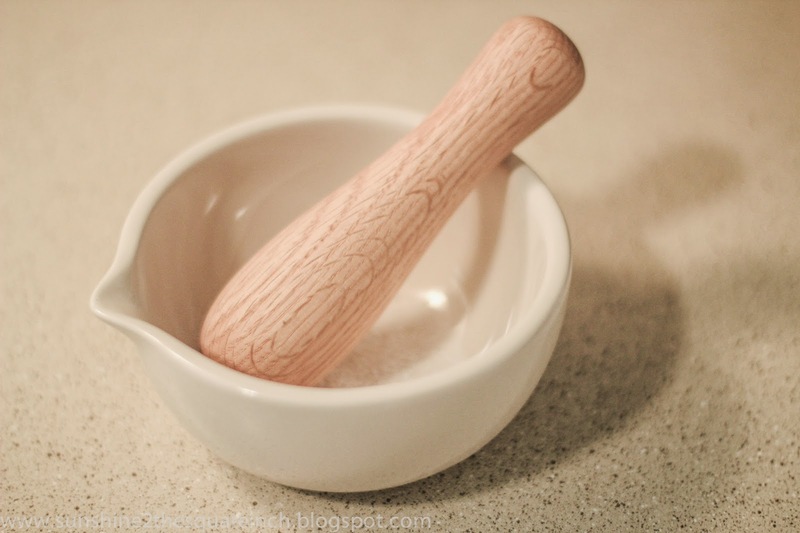 I received the mortar and pestle and I immediately loved how pretty it was. 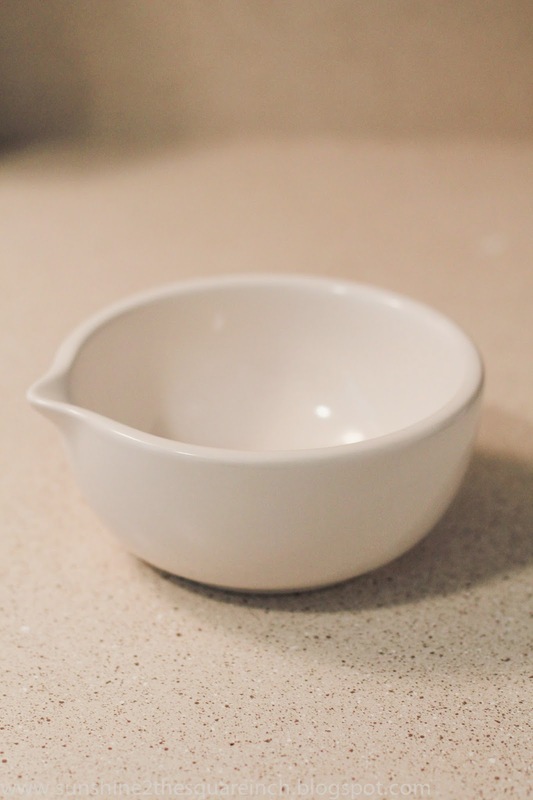 The bowl (mortar) is a thick, smooth, sturdy porcelain and the wooden pestle gives the right texture to make a great guacamole paste. I was a bit hesitant because the bowl isn’t ‘textured’ like marble mortar and pestles but the wooden pestle gives just the balance it needs to really break down and blend spices. Here is the guacamole recipe I used. 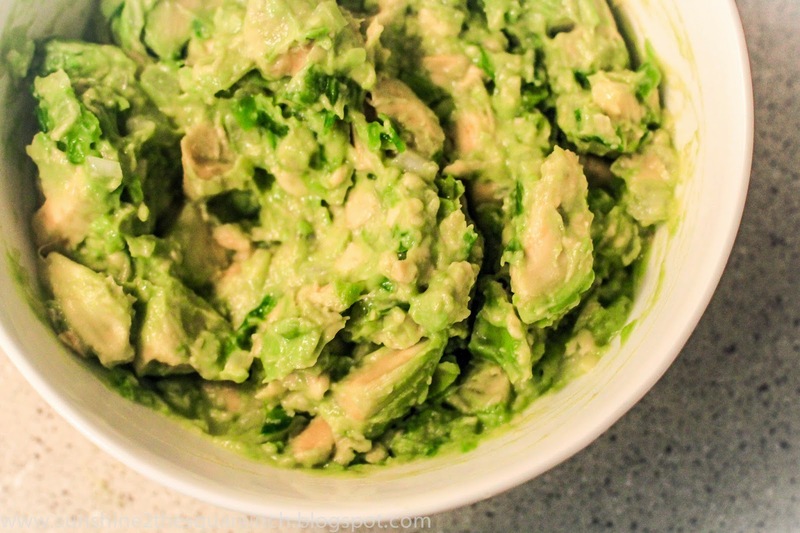 You can find a full article about guacamole and why this recipe is ‘the’ recipe by clicking here. 1. 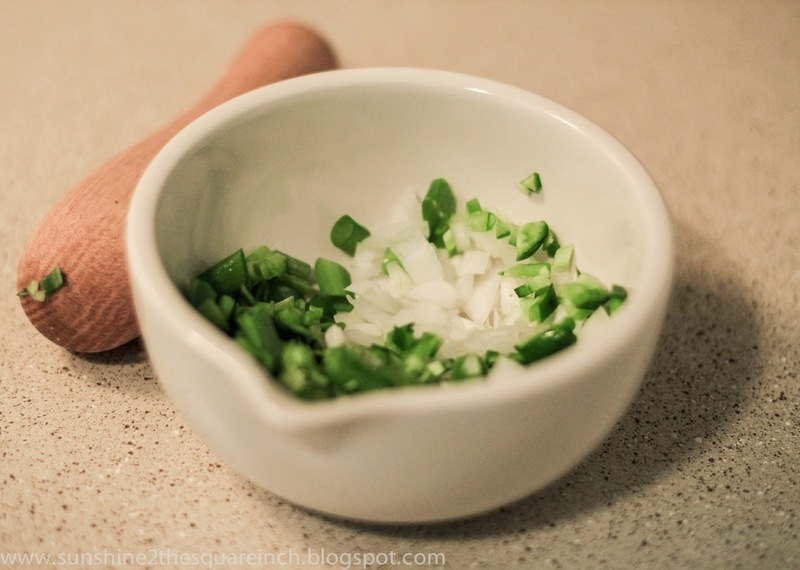 Mash the pepper, onion, salt and cilantro using the mortar & pestle. If you don't have one you can smash the ingredients on your cutting board and then transfer them to a bowl. 2. 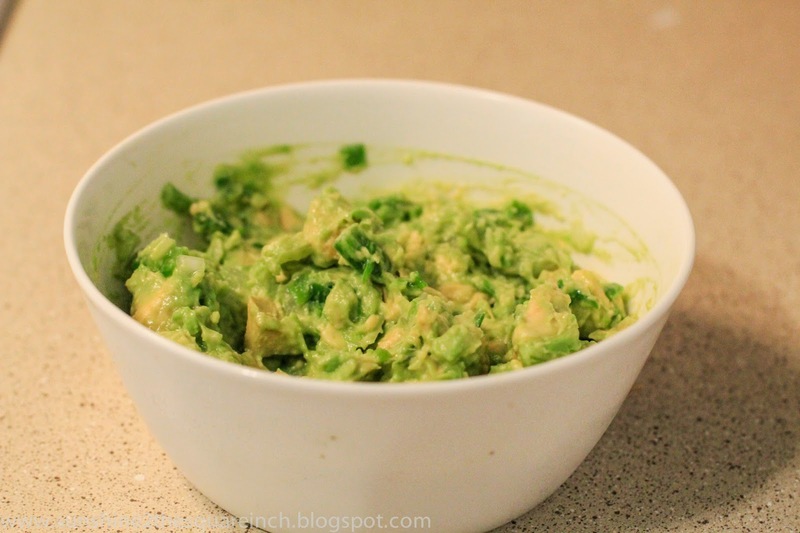 Cut the avocados criss-cross and then scoop them out using a spoon. 3. Toss all the ingredients together but try not to smash all the avocados where they are creamy. You want some big chunks of avocado in there. 4. Squeeze the lime juice in and lightly stir. A big thanks to RedEnvelope for contacting me and for being so kind to send me an item! If you need a personalized and/or fun gift I highly recommend them. Have you heard of RedEnvelope? If you haven't heard it's my birthday month! Be sure to stop by my Facebook and / or Instagram for a fun little giveaway going on today and tomorrow. oh yum! guac is my fave!!! this is almost the exact recipe we use! we also add in tomatoes/red onions and some cayenne pepper! OK I have been OBSESSED with anything avos for a while now...especially Guac! THIS SOUNDS AMAZING!!! That is very interesting! The only guacamole I like is my dad's recipe - which includes spring onions and tomatoes on top of some of the things you listed. I like my guacamole not too green, like in stores when I feel they just mashed avocados and are pretending it's guacamole haha I'll have to try yours though! Mmmm, this looks so good! I've never heard of Red Envelope, but it sounds interesting! I love me some guac! Yum. It's fun you got something for free :) I'll have to try out this recipe! I think avocados are one of the best foods out there! 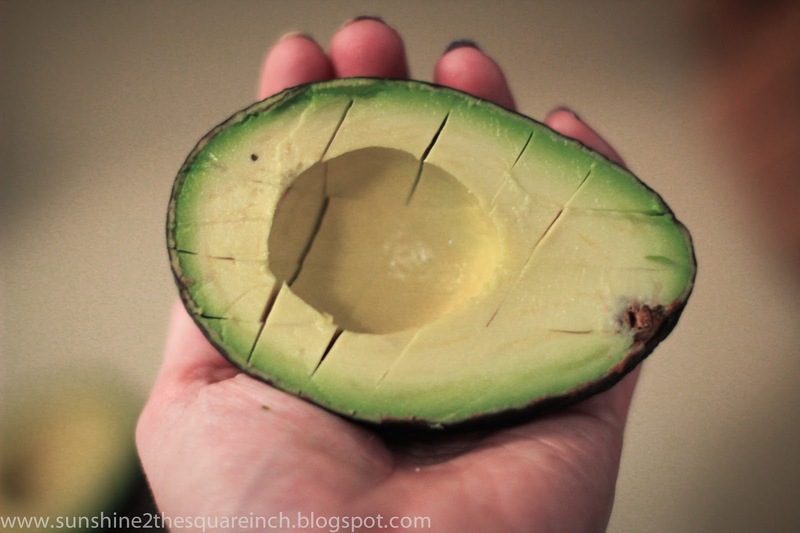 Have you ever made a smoothie using avocados? This recipe really is good. I wasn't quiet convinced that the paste would make it so amazing but it sure did! Your Dad's guacamole sounds good too! Store Guacamole? I won't ever buy that. I know that is snobby but it's just so much better homemade. Also, i think they add weird (processed) ingredients in there. 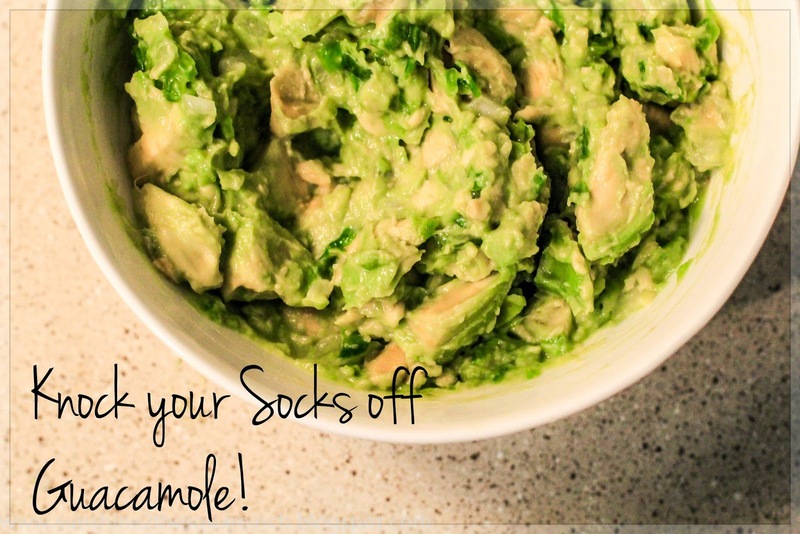 I'd love to get your Dad's recipe =) I'm always up for trying new guacamole recipes. Well, you should check them out! They are a fun company. The mortar and pestle does wonders! Those seasonings sound good in guac! Yummo! I love avocados too! & Thanks for the b-day wishes! They do look very very similar. I've done that before too and it makes me mad! So now, I always smell mine and that will do the trick. If you check out Red Envelope let me know what you think. I love guac too! (a lot). I agree, free three through blogging are really neat and fun. Guac is my absolute favorite. I can eat way too much of it. And I've been looking at getting a mortar and pestle. There's this awesome steak seasoning that requires it and if I can ALSO make guac, then it's definitely worth it. My brother-in-law and sister-in-law use a mortar and pestle for steak seasoning and they make some of the best steaks I've had! I eat a massive amount of guacamole too! I think it is healthy so I don't mind eating a lot of it. Yay! I love your mortar and pestle, so so fun! And your guac looks so good! I'll have to give it a try. Okay, I've gotten an email like that before and thought it was spam (mine was from a publisher that wanted me to a blog hop of a not-yet-released book). Also, I've been eyeing up mortar and pestles lately so I'm going to have to check this one out! Oooh! I hope you get one. They are really fun to cook with and to make spices. Sometimes not being a 'big blog' I just assume it is spam. I guess we shouldn't underestimate ourselves!